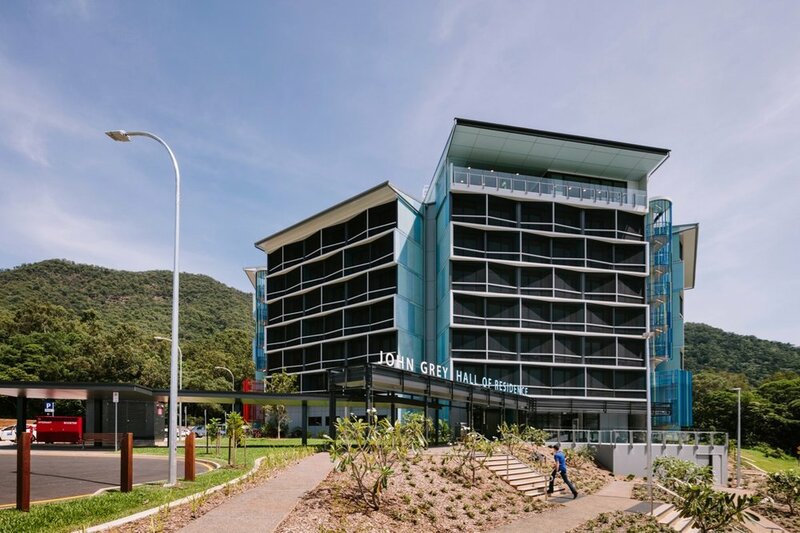 Wilson Architects were the selected architects of a shortlisted design competition for new student accommodation at James Cook University, totalling 800 beds over Townsville and Cairns Campuses. 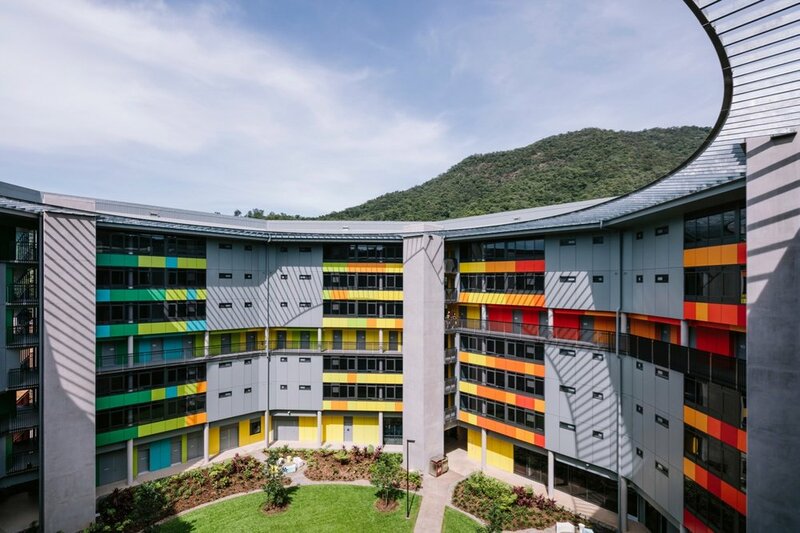 Complete in 2018, the 400-bed student accommodation building on the Cairns campus encourages a positive and engaging student experience. 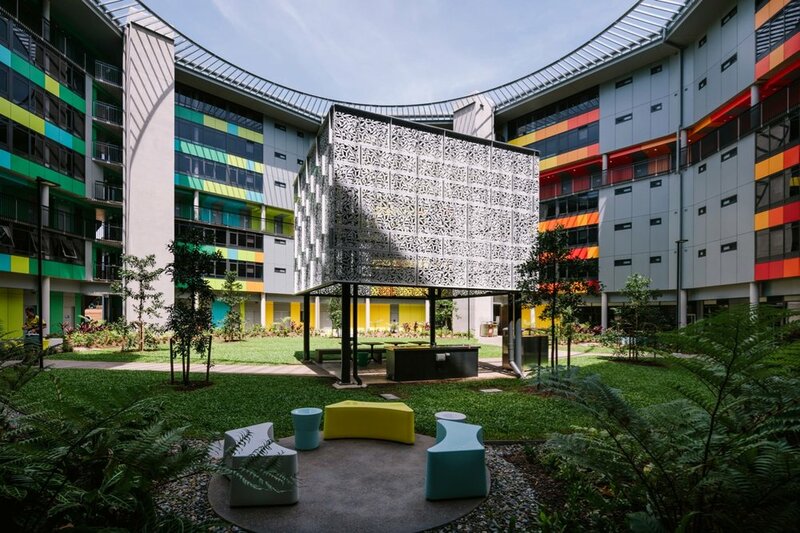 The accommodation enables opportunity for student interactions from the individual, through small living groups, to larger scale communities based around floors, wings or the housing scheme. 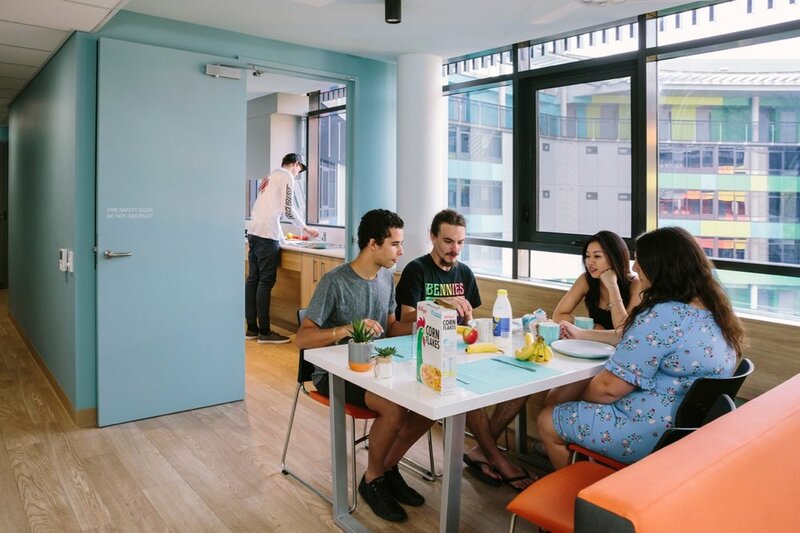 The student accommodation provides clusters of bedrooms with shared living spaces, or self contained studios, with separation of active living from quiet study and sleeping spaces. The building is scaled to set a precedence for a compact urban environment moving forward, but one with strong integration and connection to the Tropical landscape. Environmentally sustainable design strategies are embedded into the design to encourages natural cross ventilation, shading and protection from the elements. The central courtyard space connects all of the communal living and study spaces while being intimate enough to provide a domestic focus. The hexagonal scheme offers views from every room, either to distant water views or mountain/forest views. The Townsville development is currently awaiting funding.